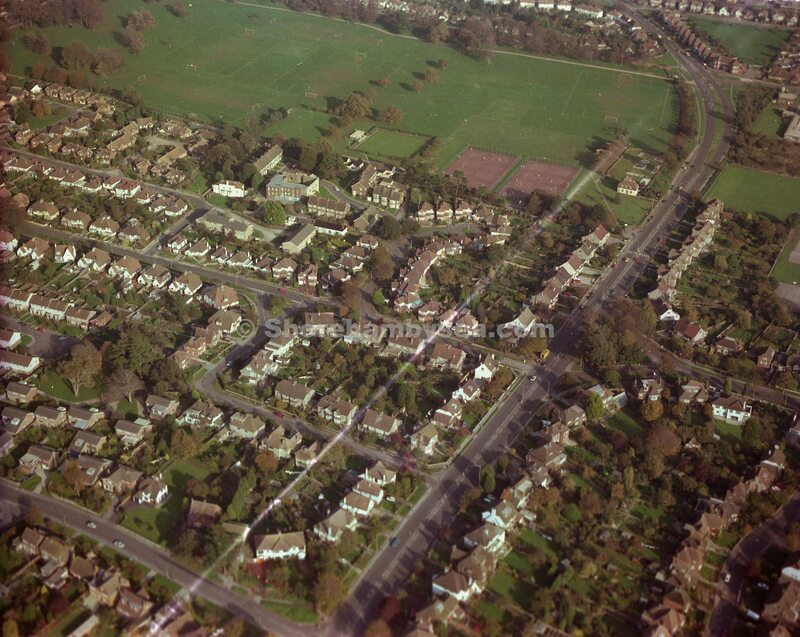 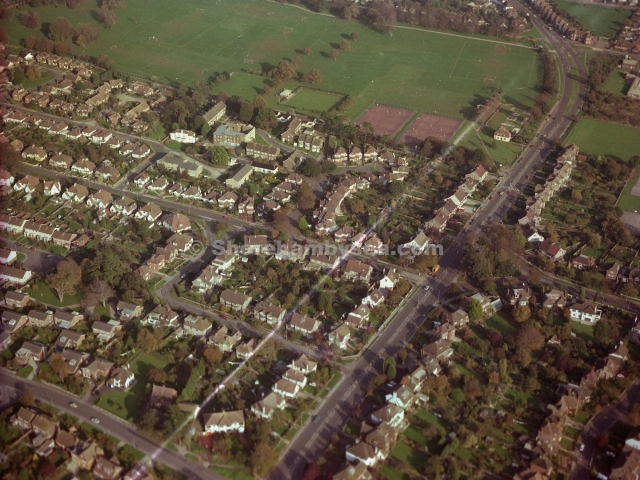 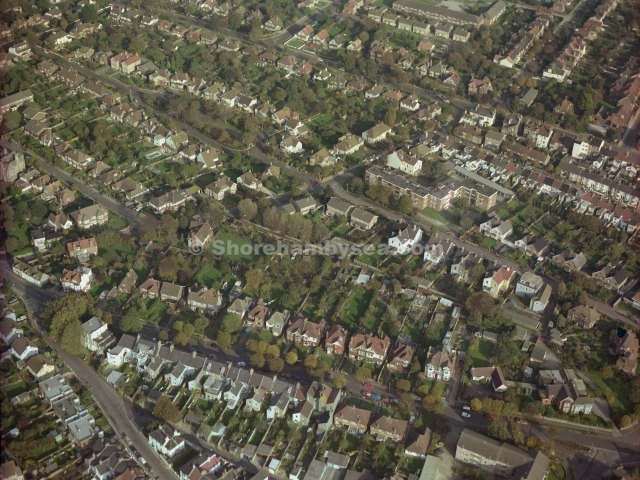 Meridian Airmaps Ltd took aerial photos of much of the UK during its’ existence and copies of these are still available from various institutions in certain parts of the country that the images relate to. 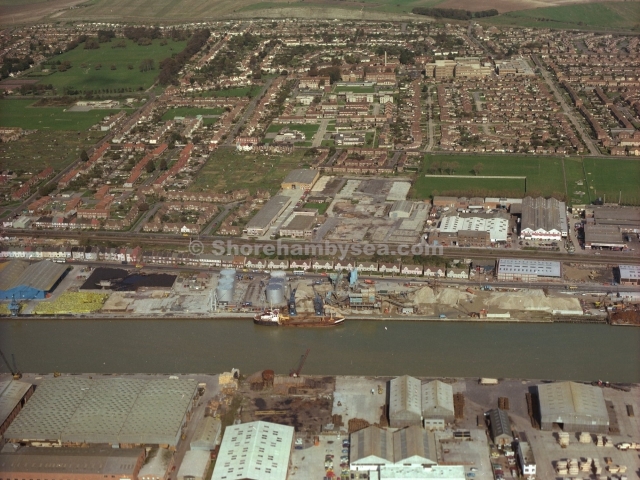 The business thrived and would have continued to do so but for the ill fated photographing exercise for one particular African country. 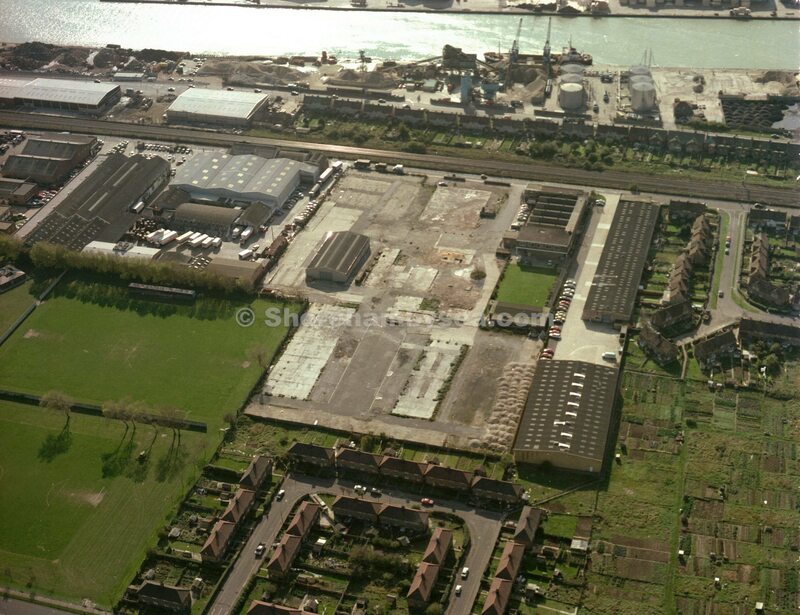 Payment for this work was so late in being settled and created debts that made it impossible for the company to continue. 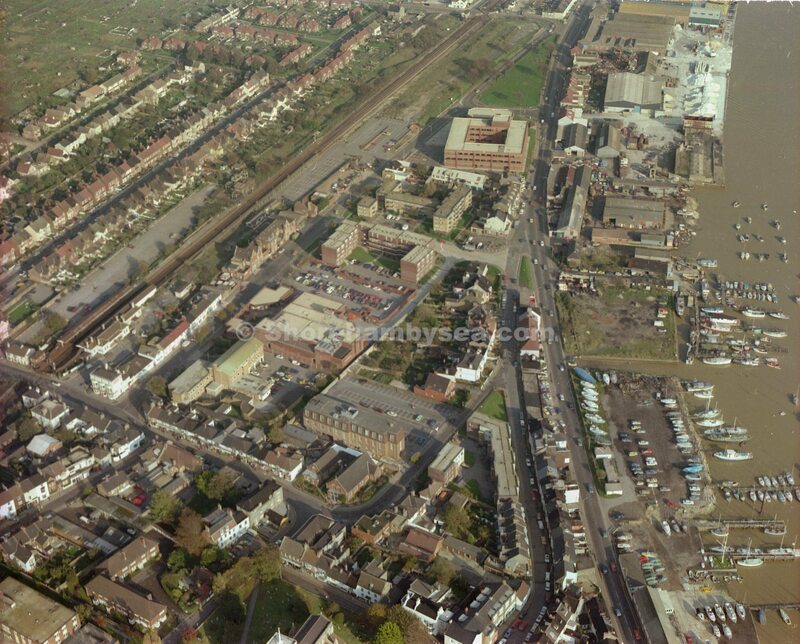 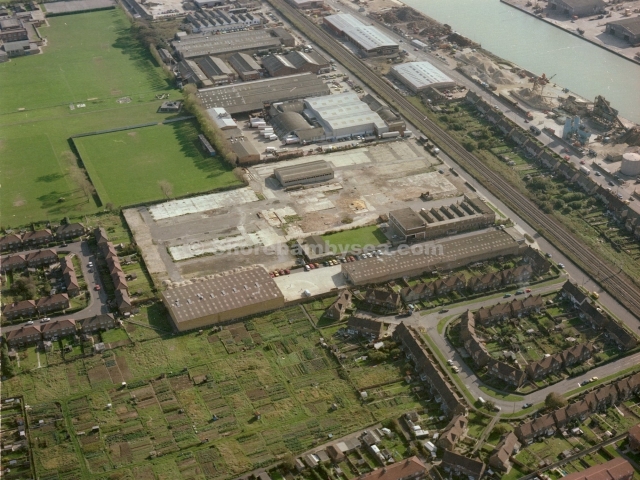 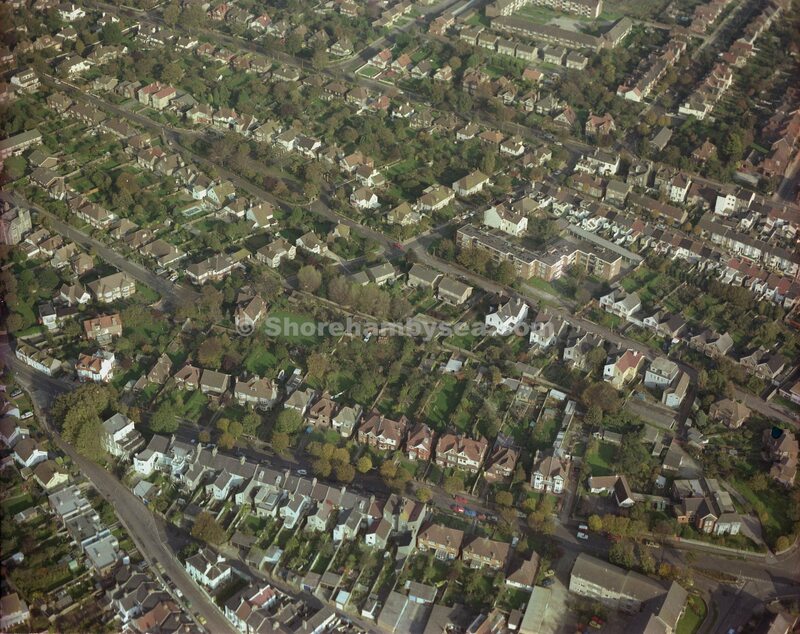 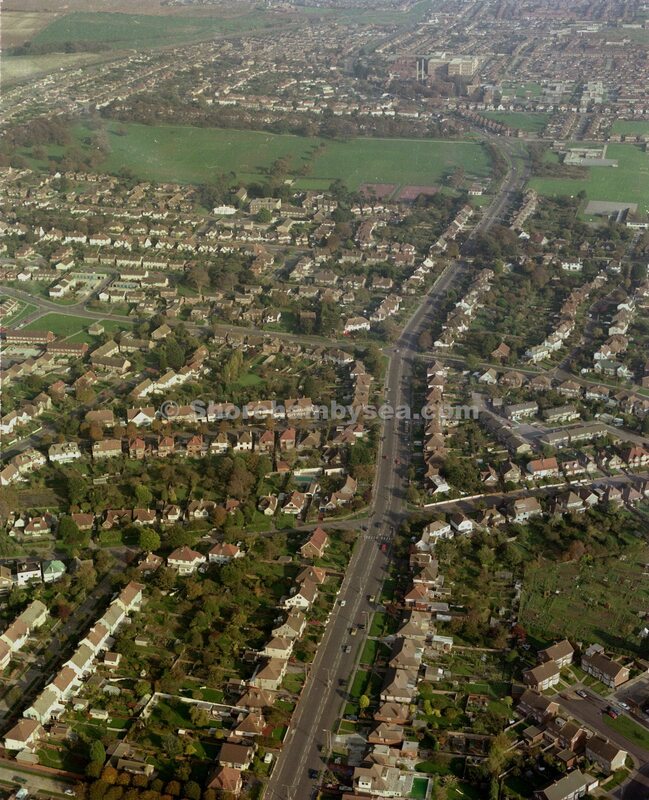 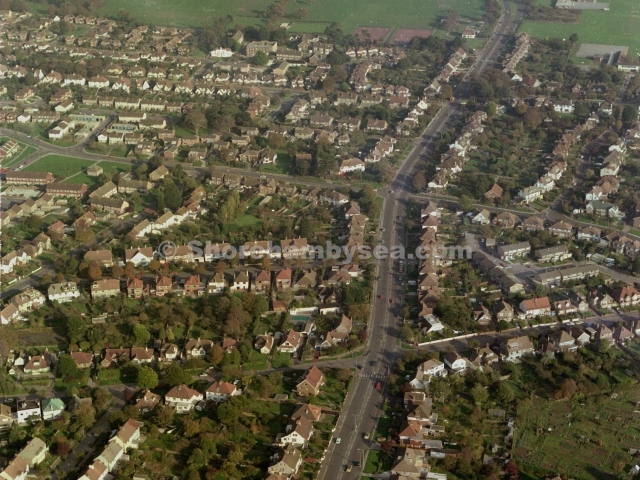 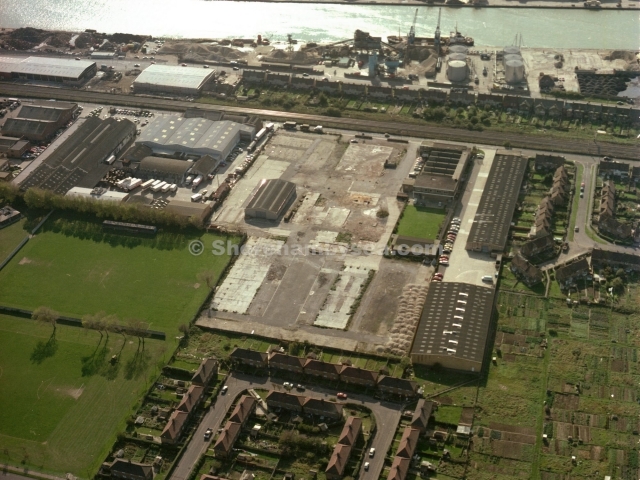 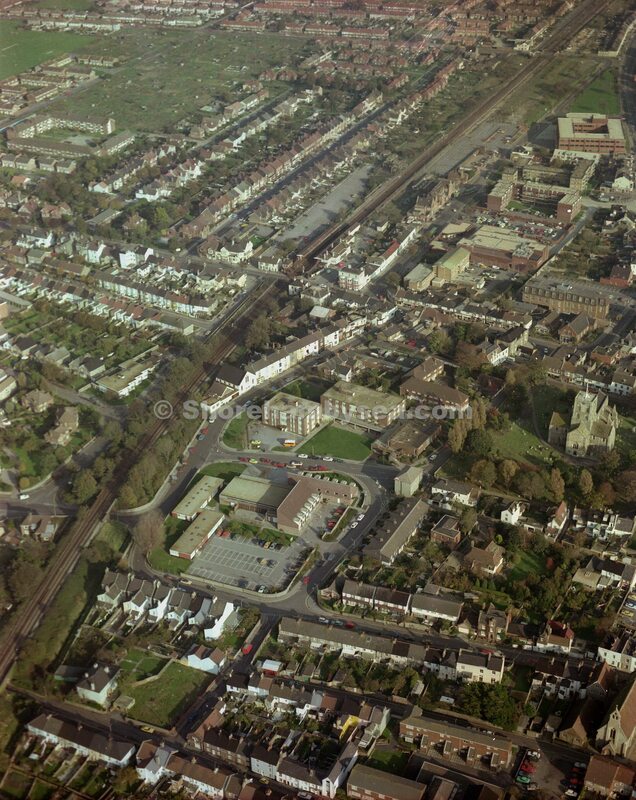 Images relating to the Brighton area have been loaned to me for copying by a one time director of the company. 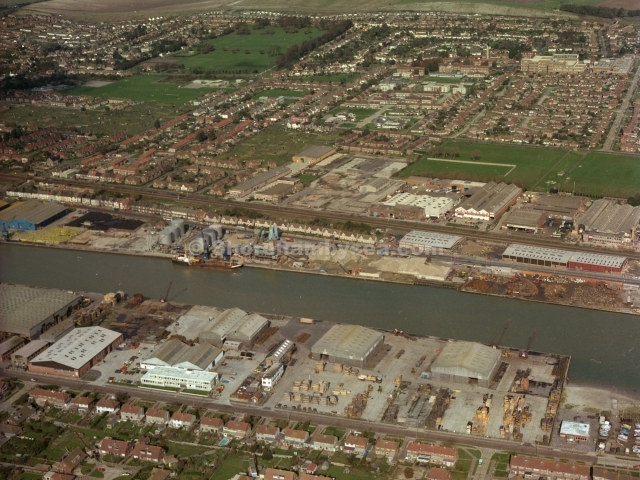 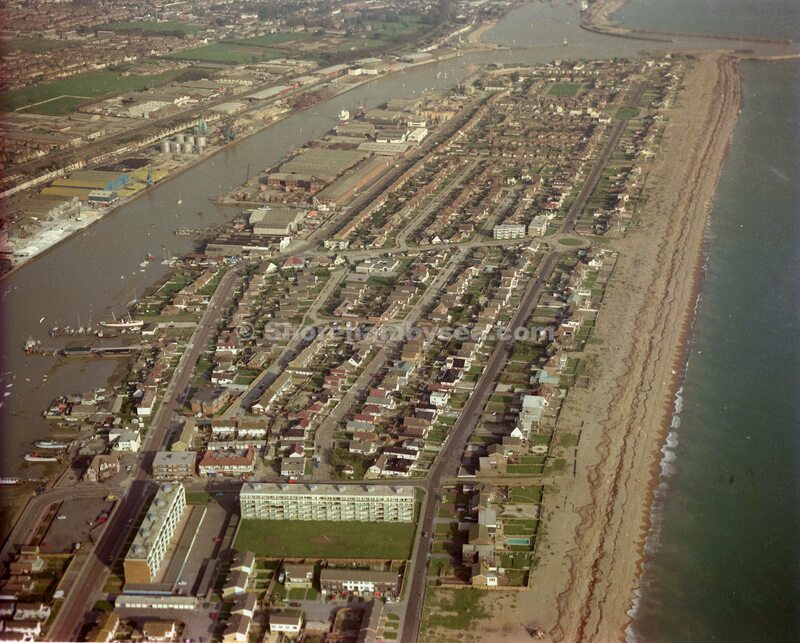 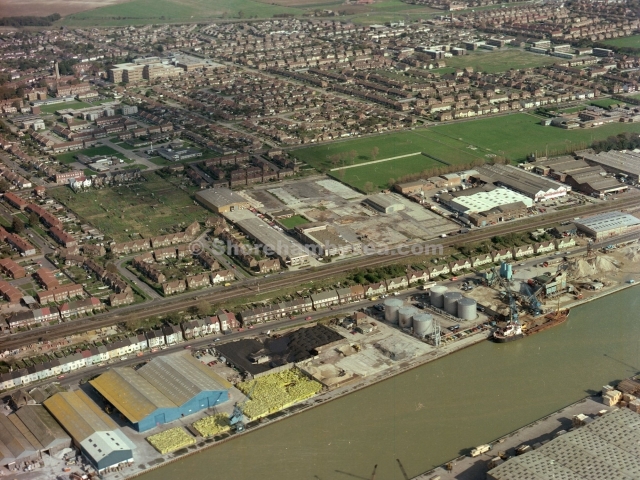 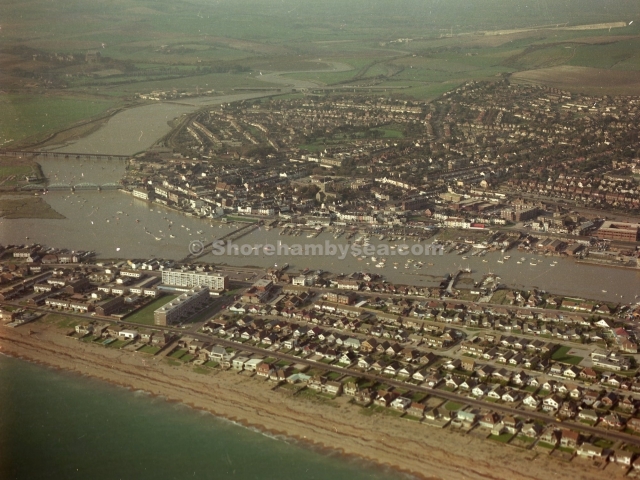 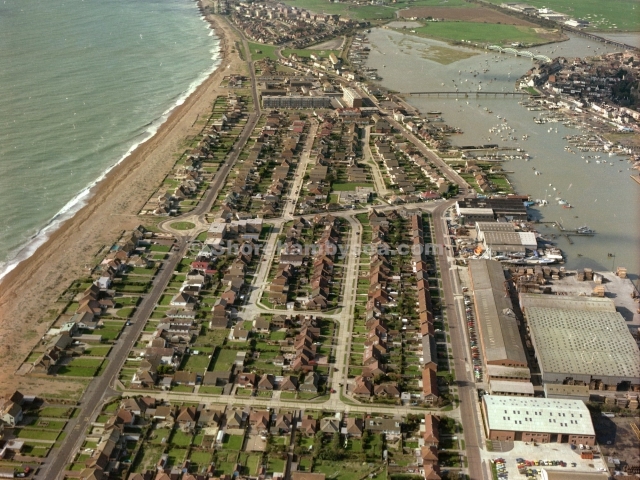 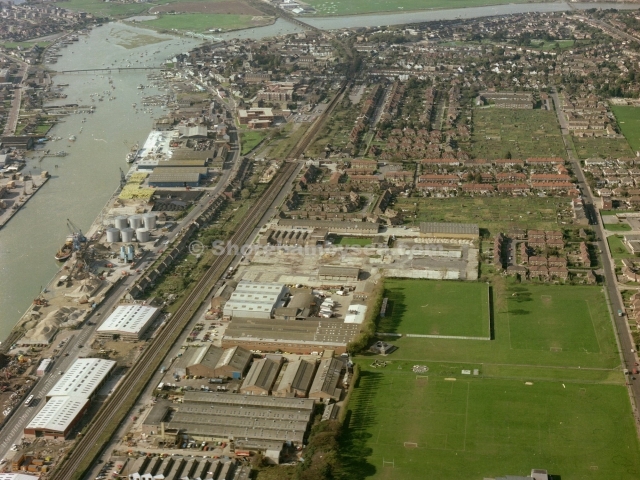 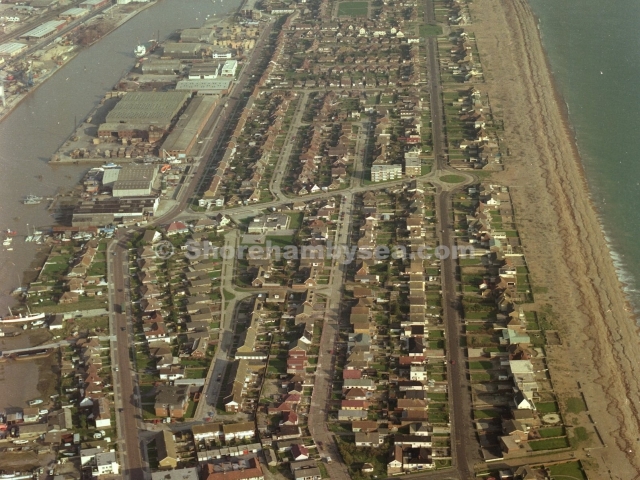 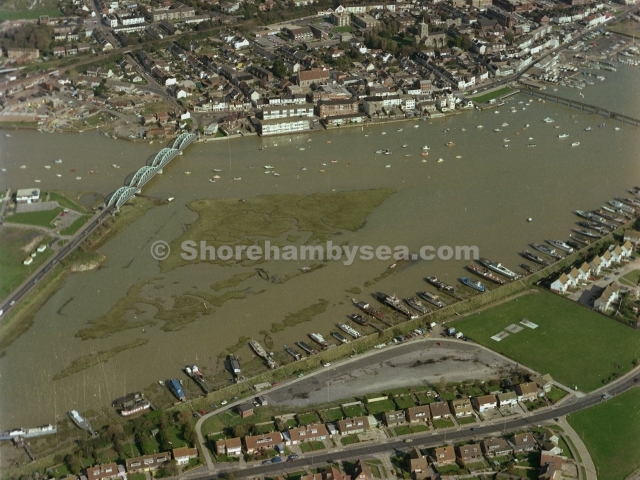 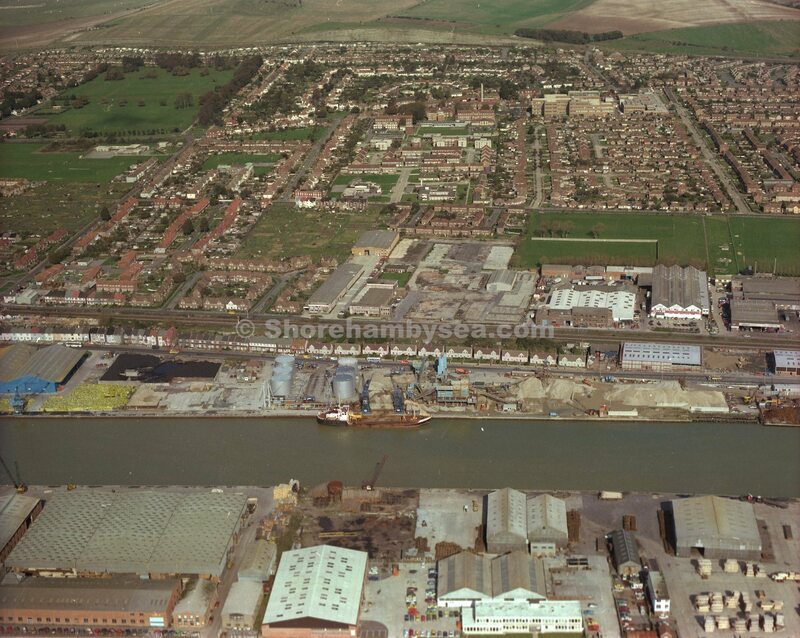 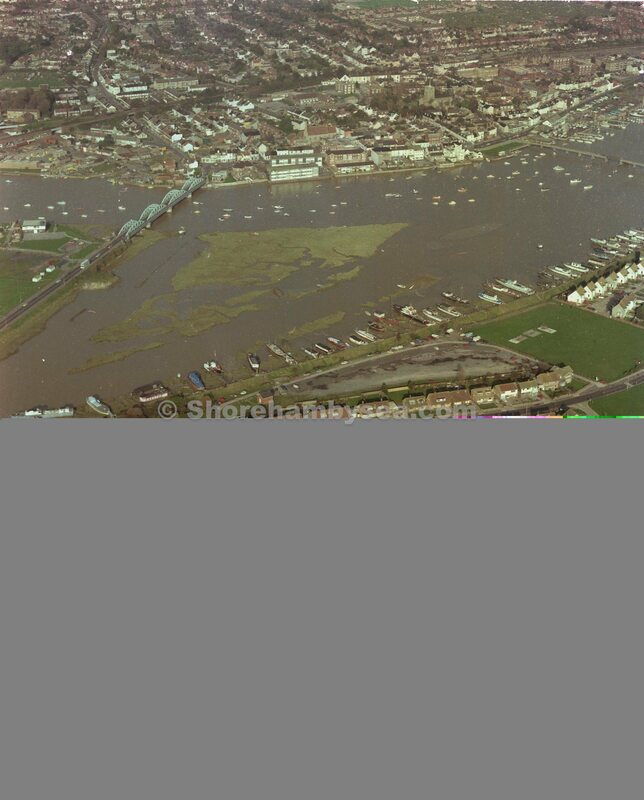 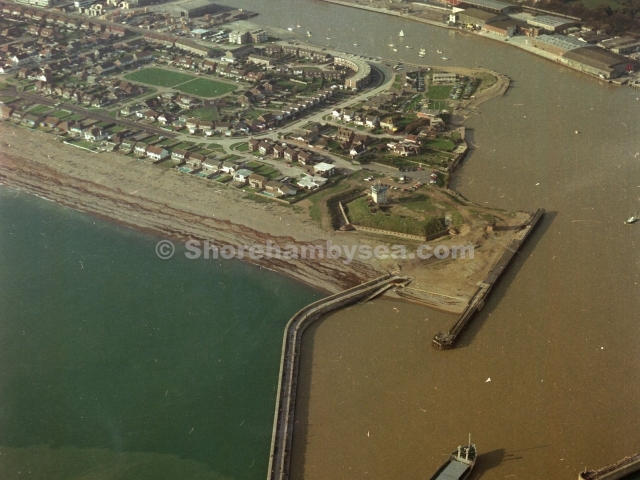 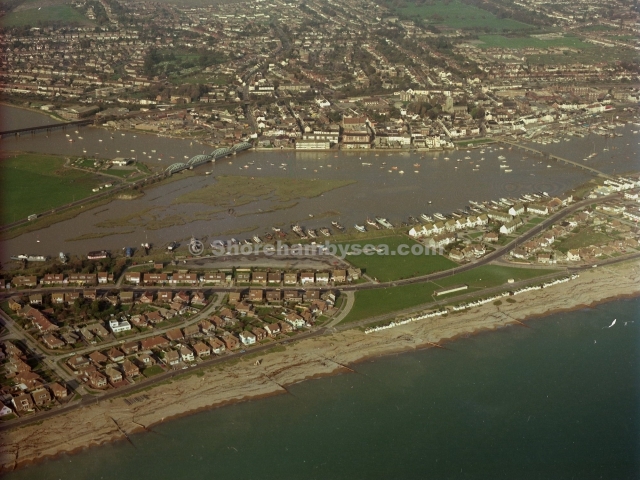 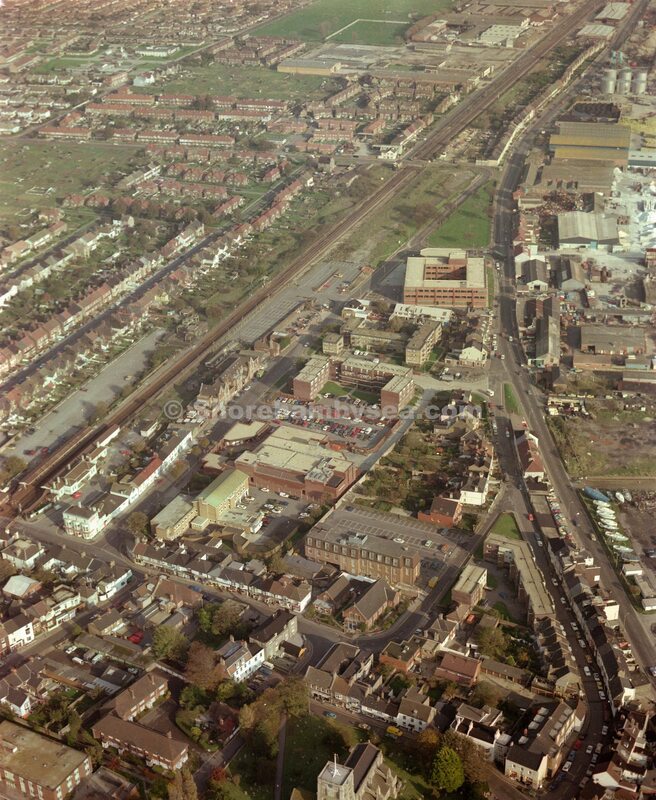 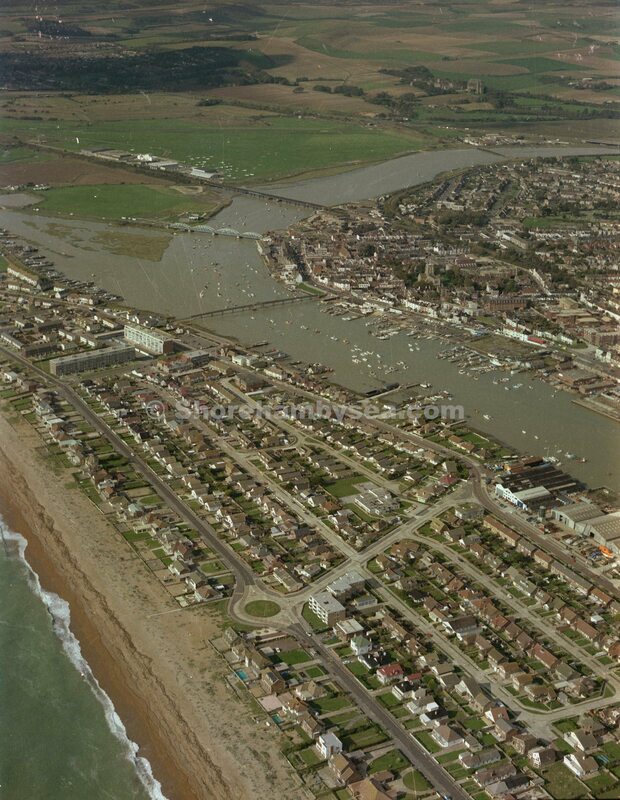 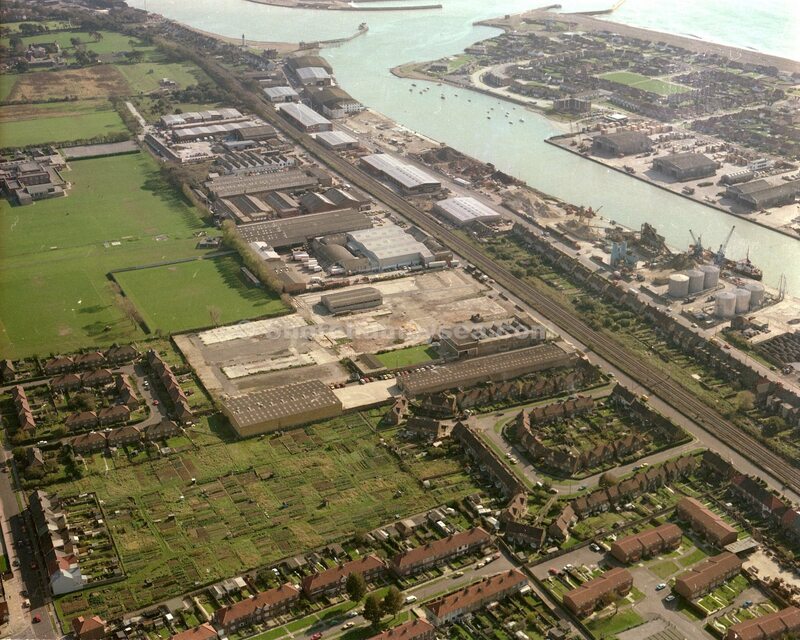 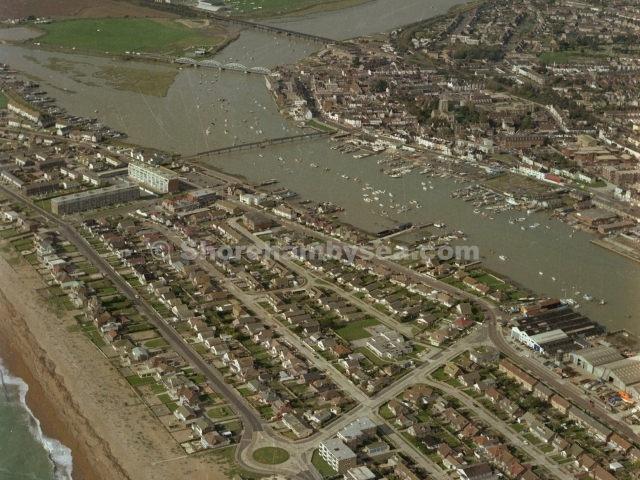 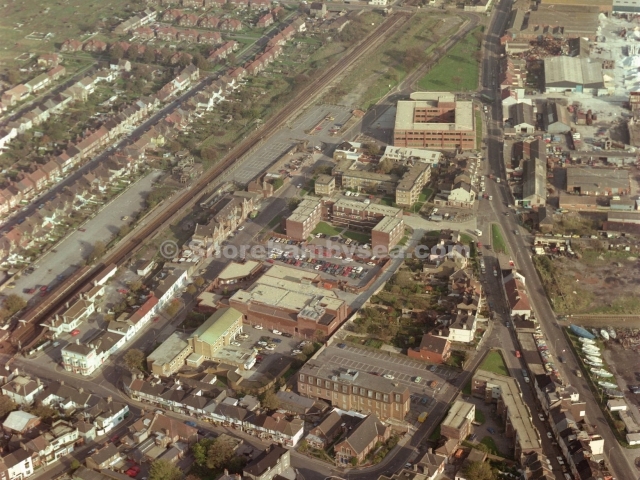 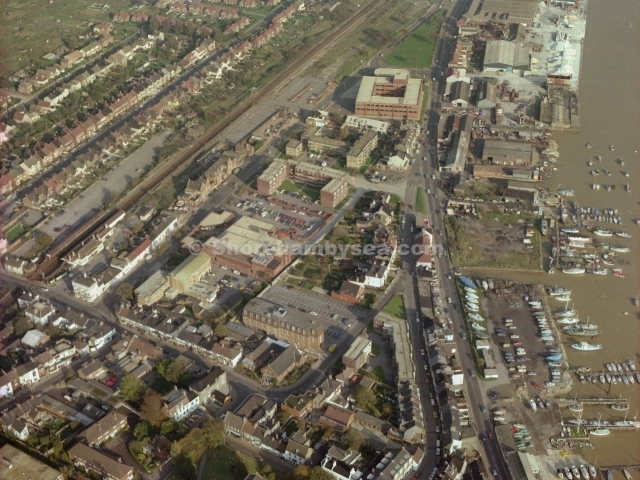 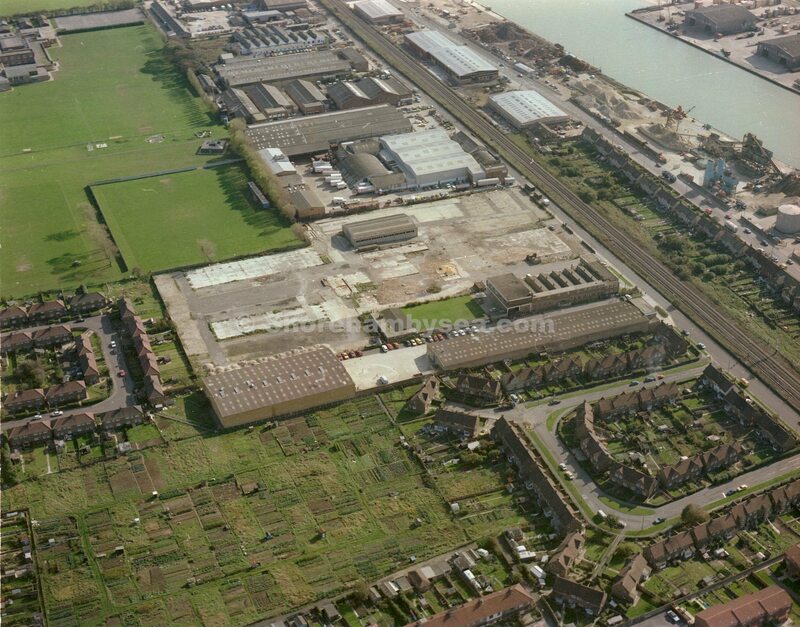 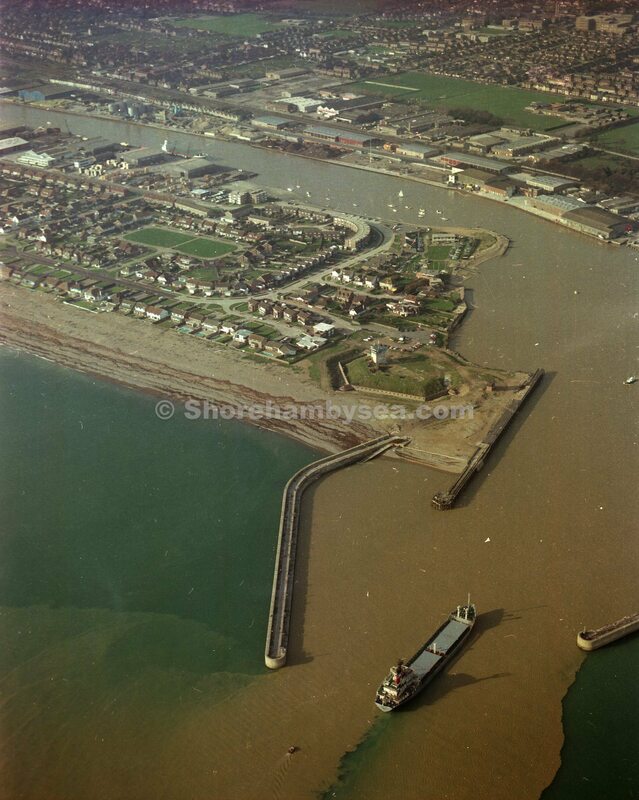 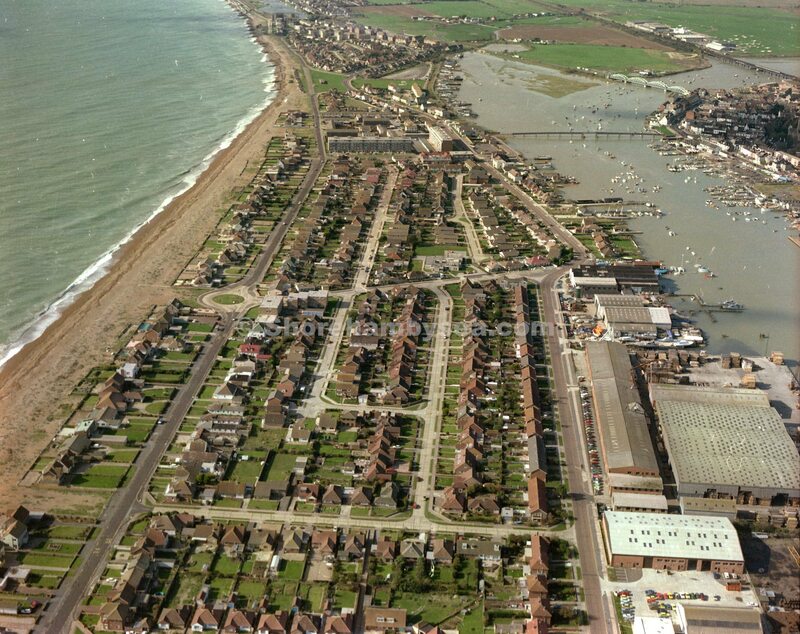 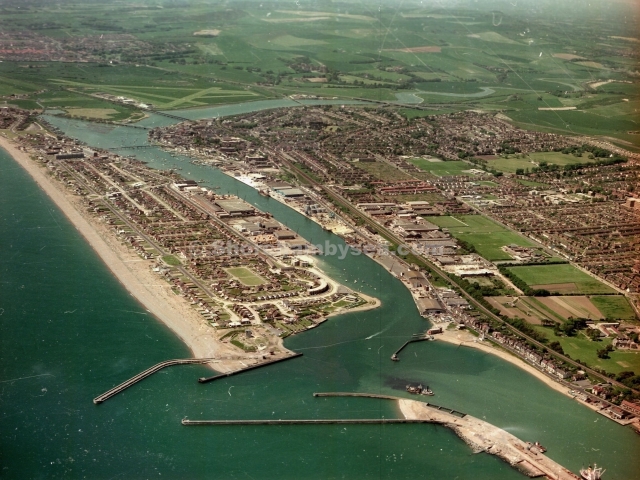 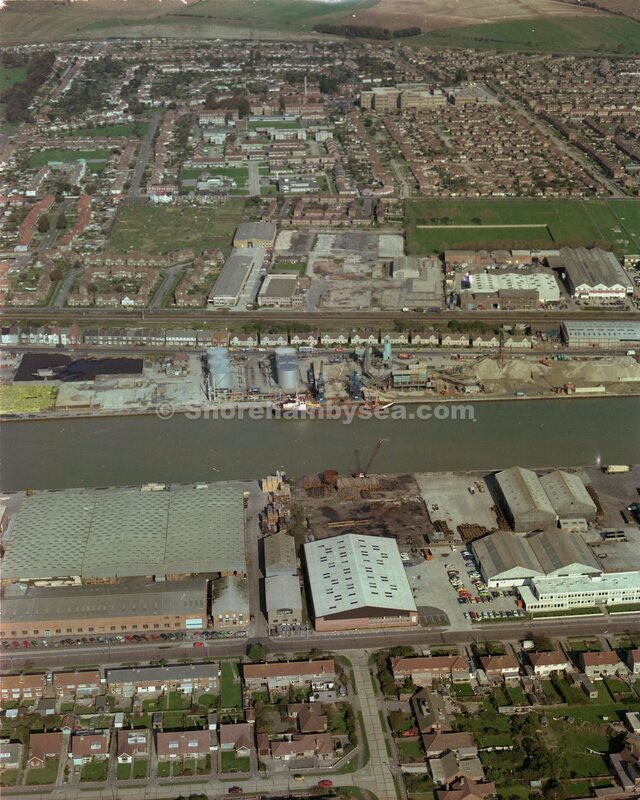 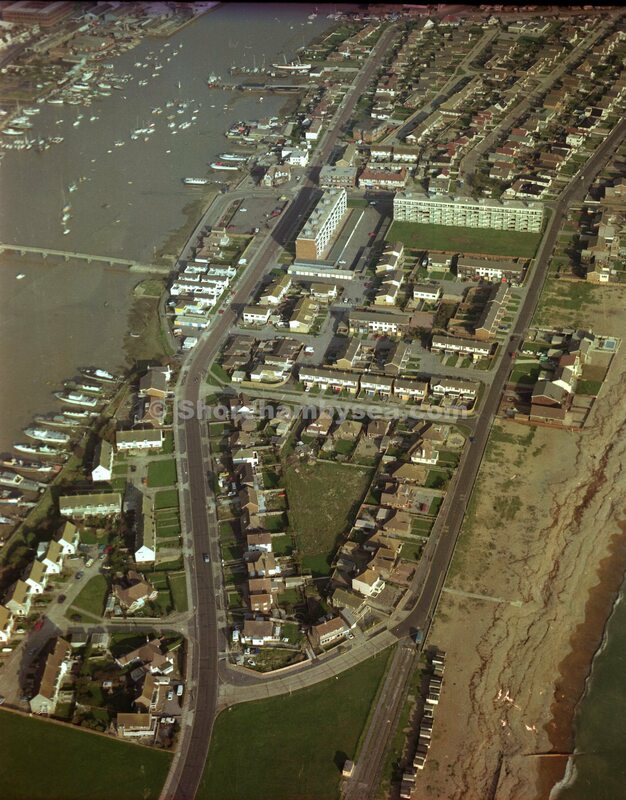 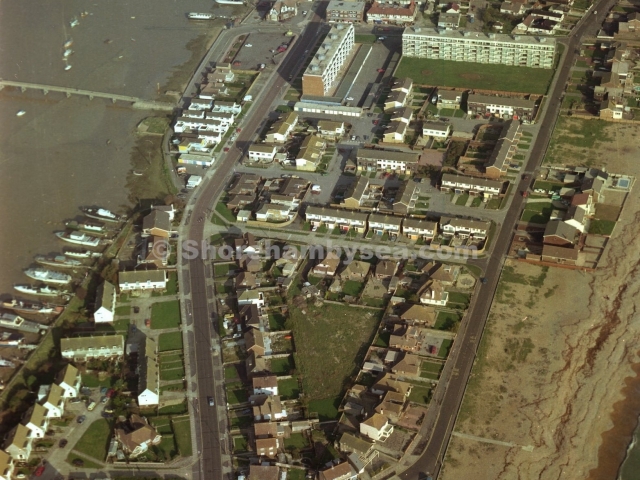 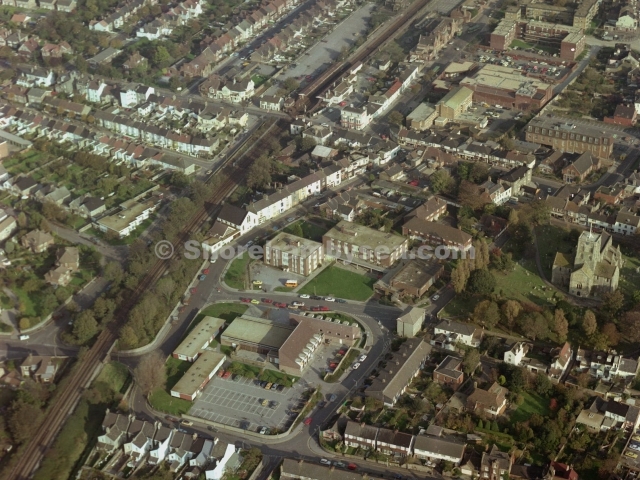 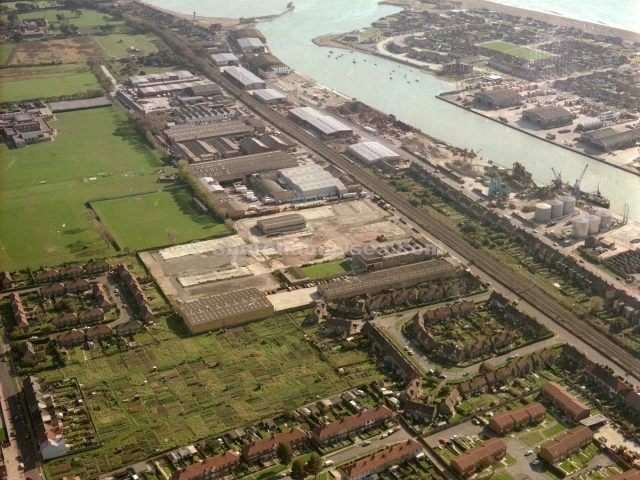 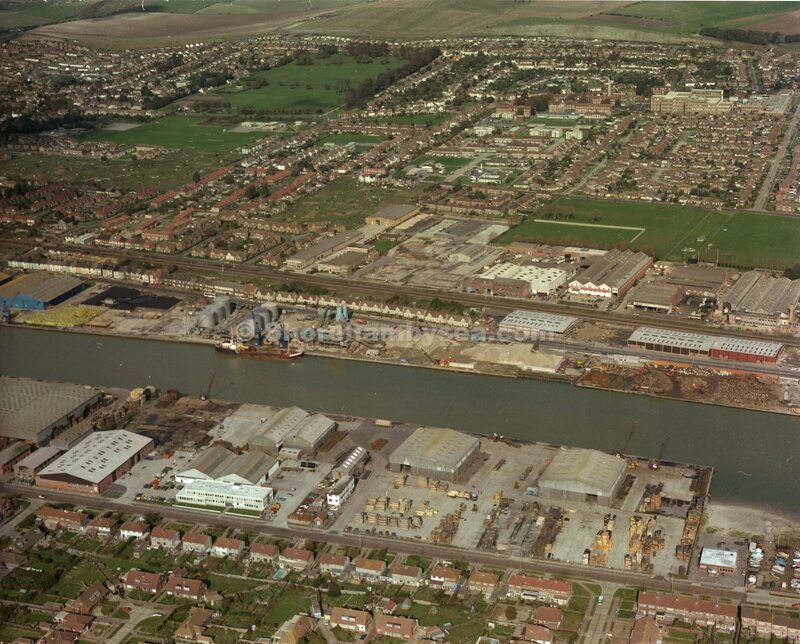 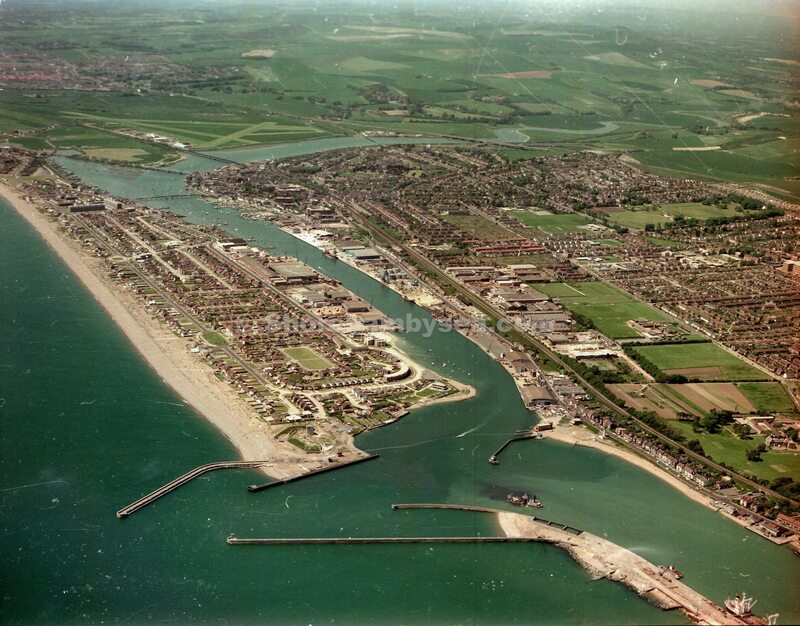 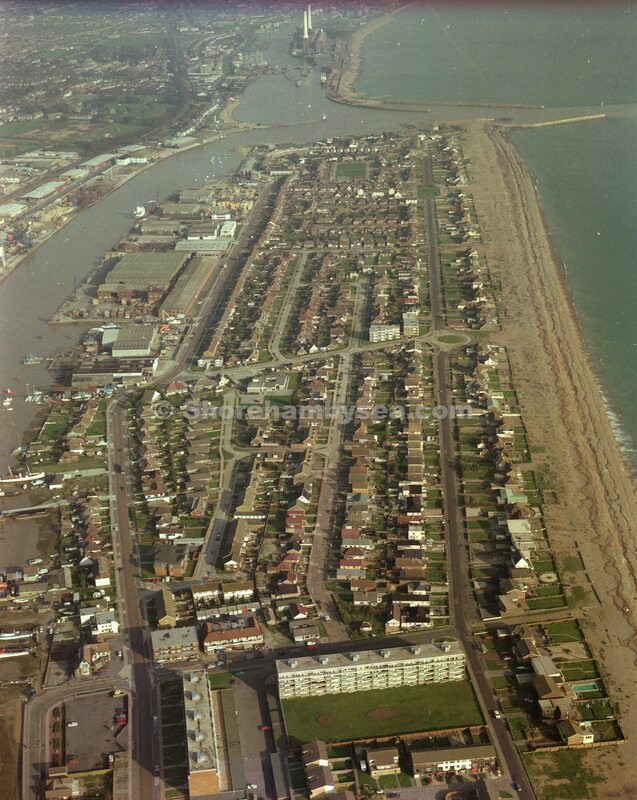 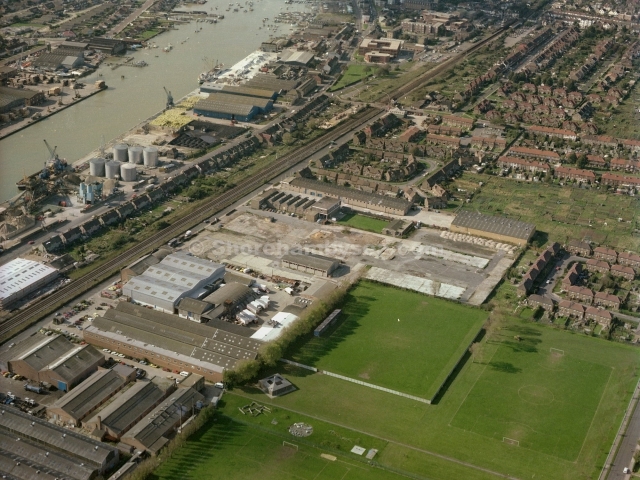 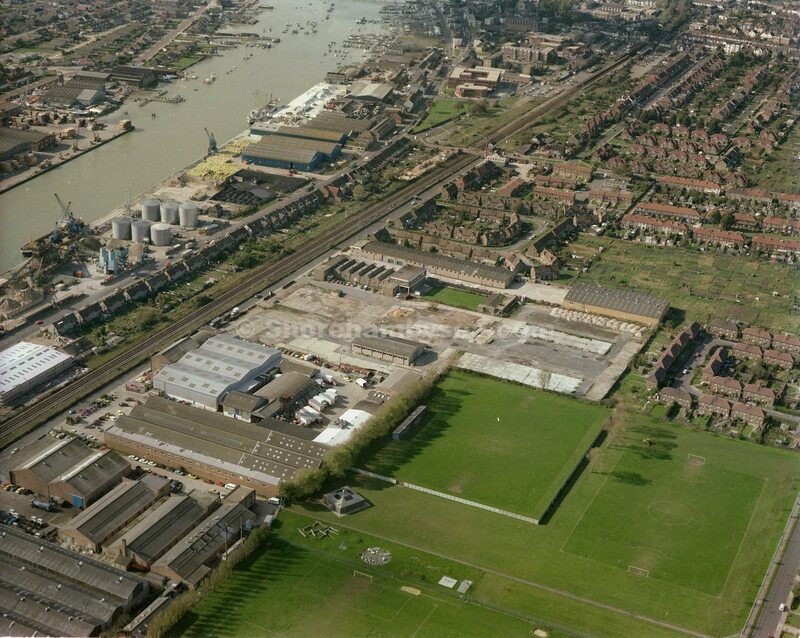 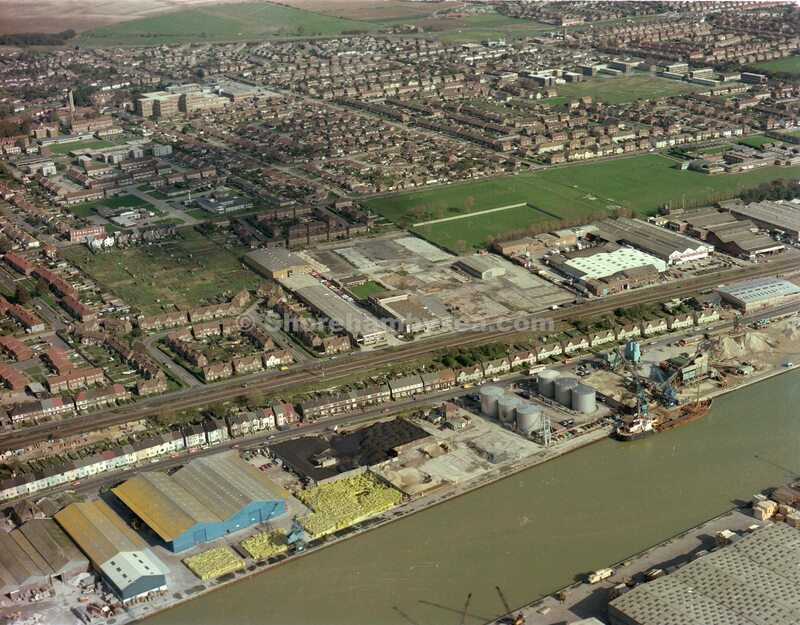 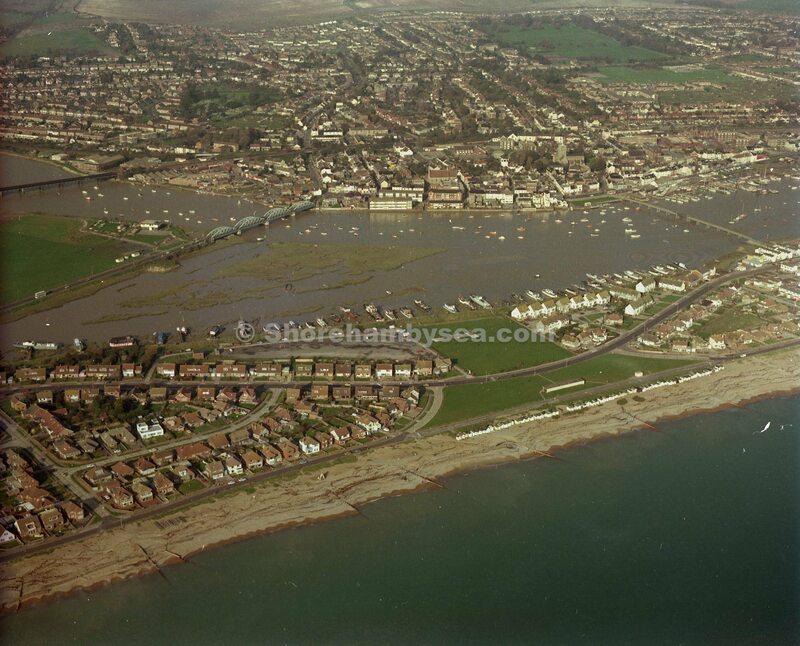 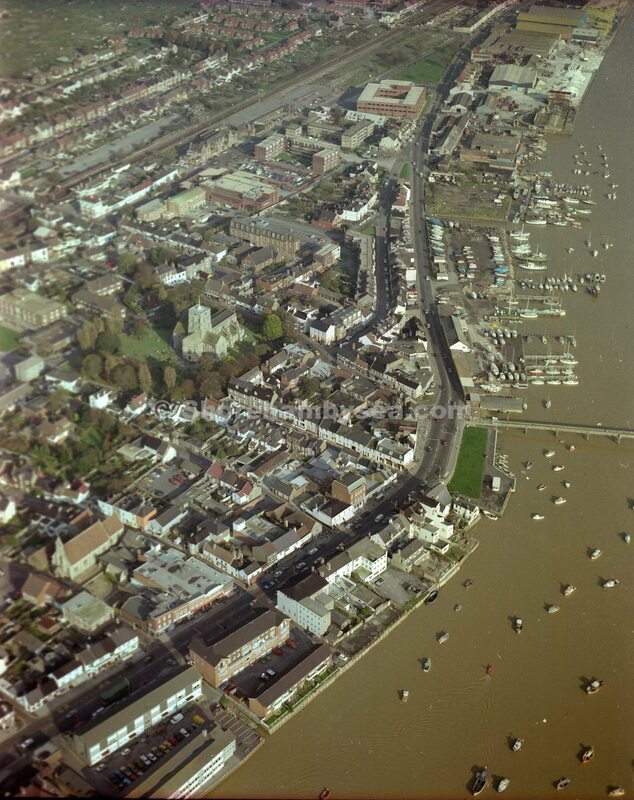 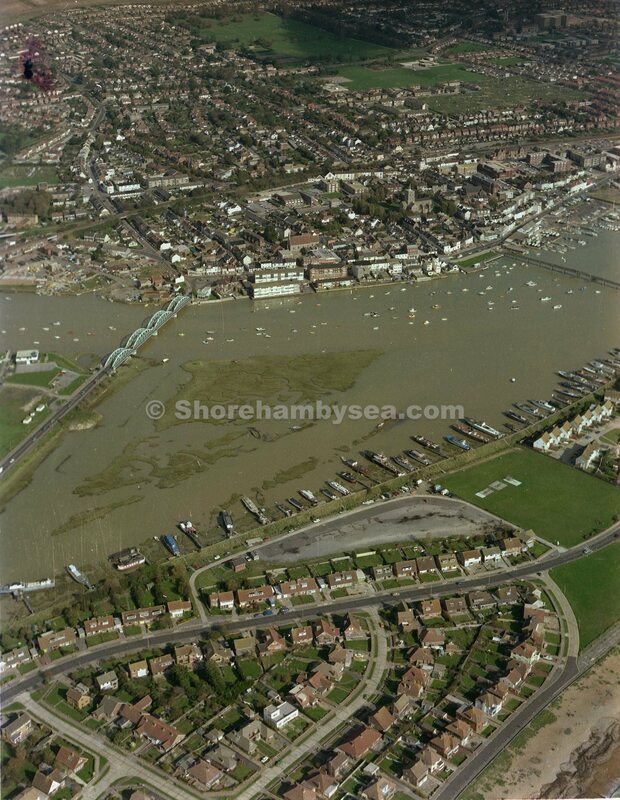 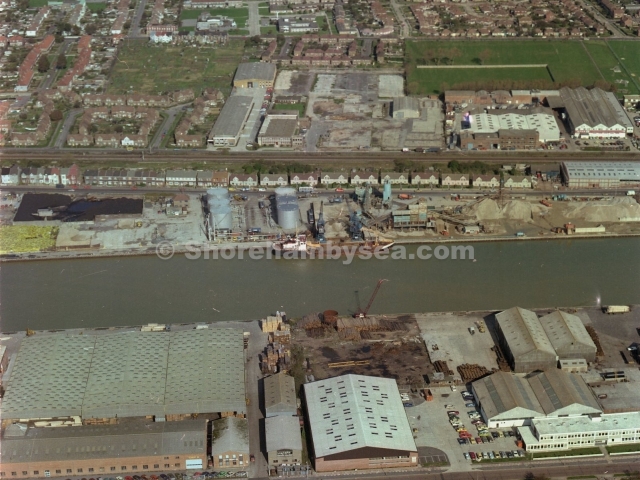 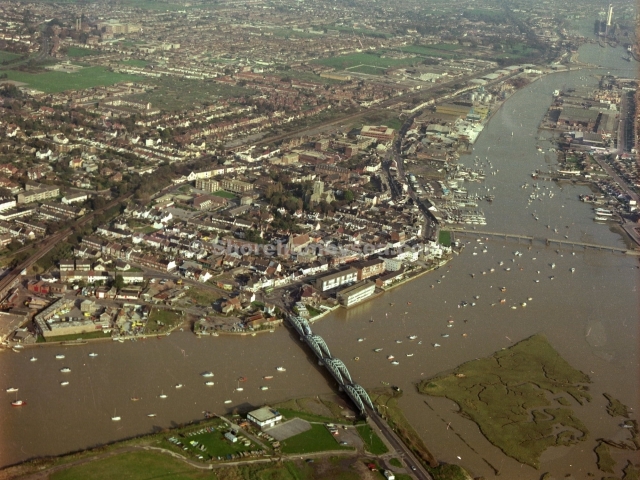 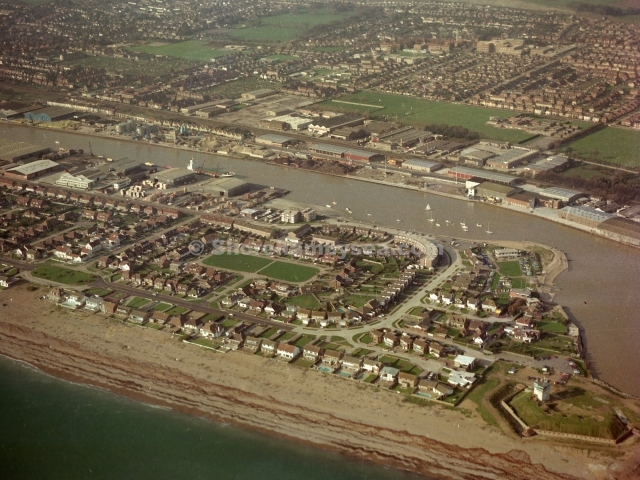 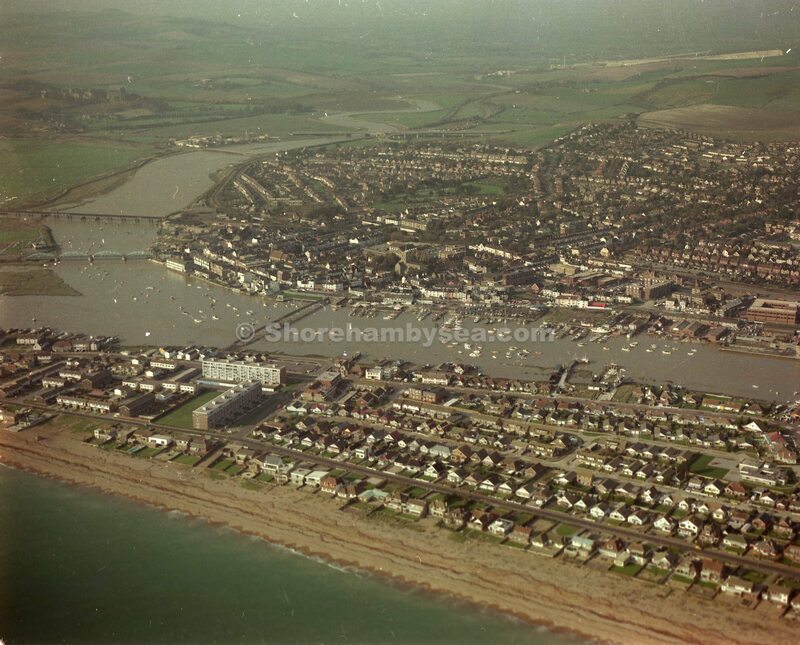 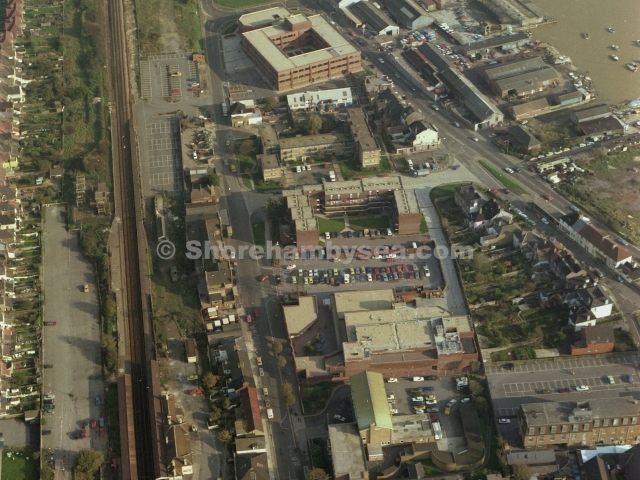 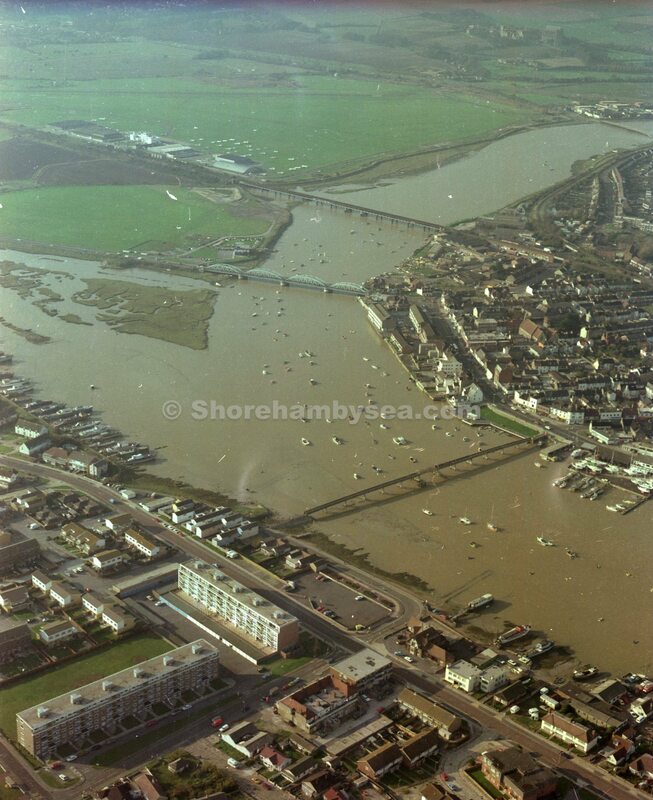 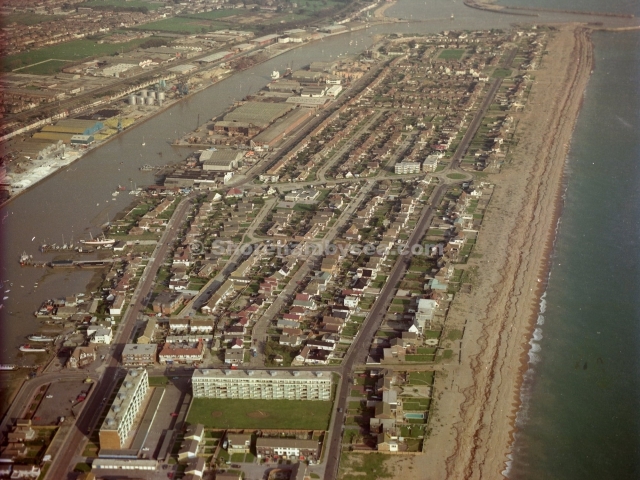 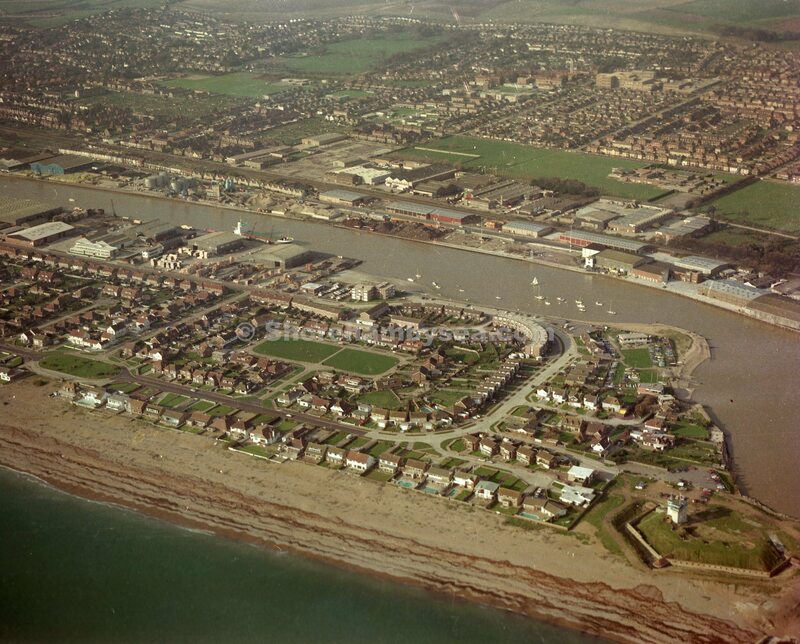 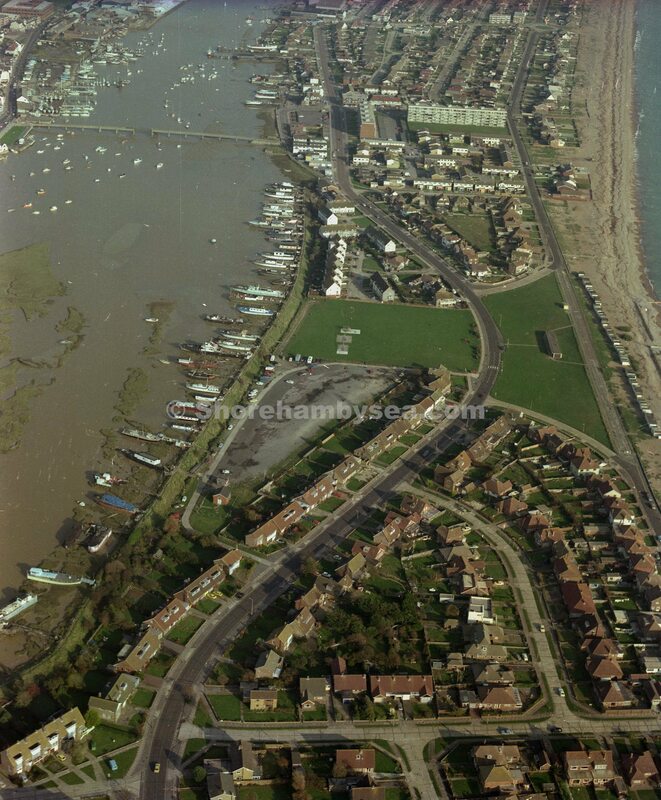 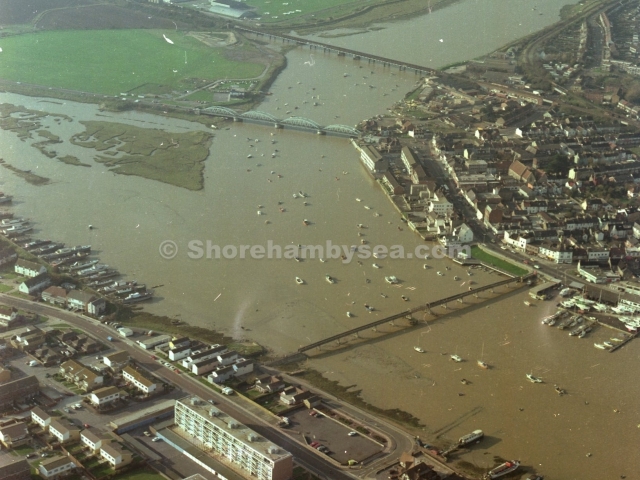 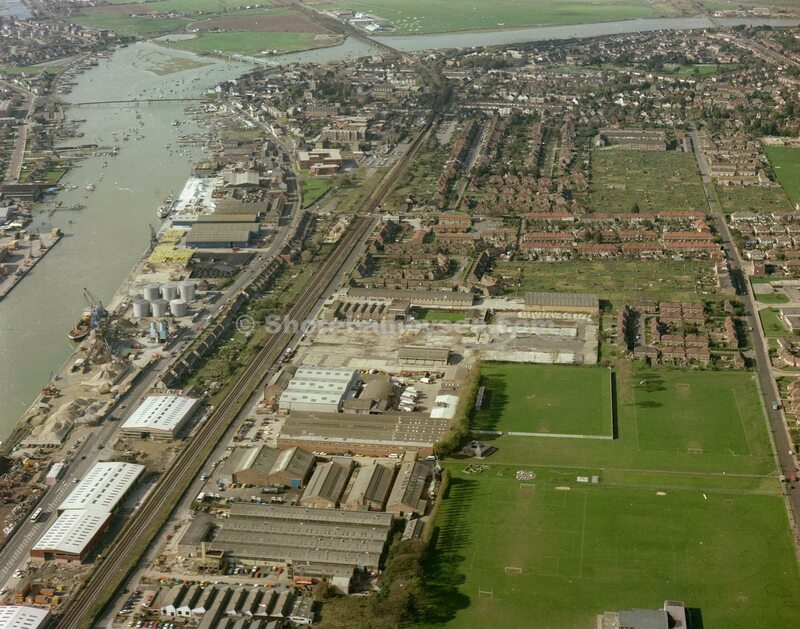 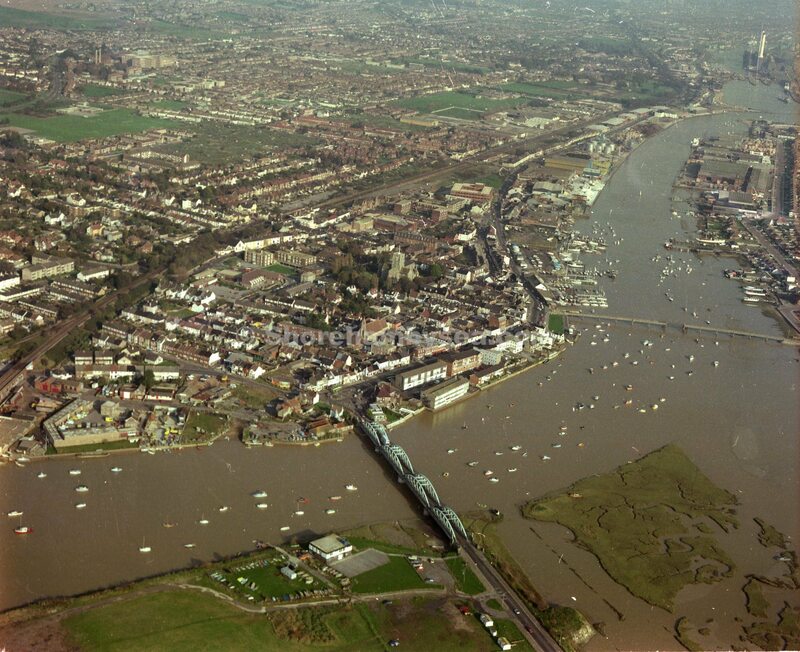 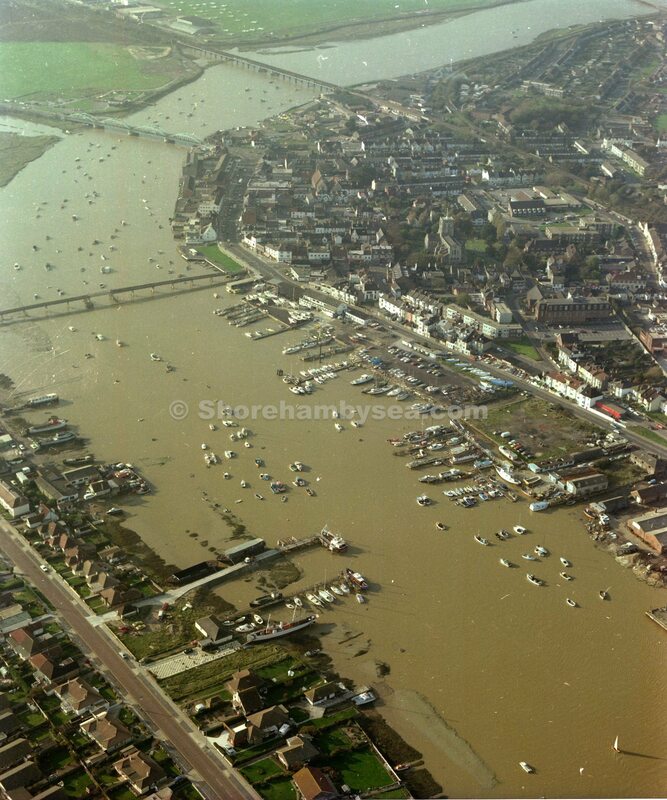 They appear to date from around the early 1980’s and due to limited resources only some of the Shoreham images can be considered for copying. 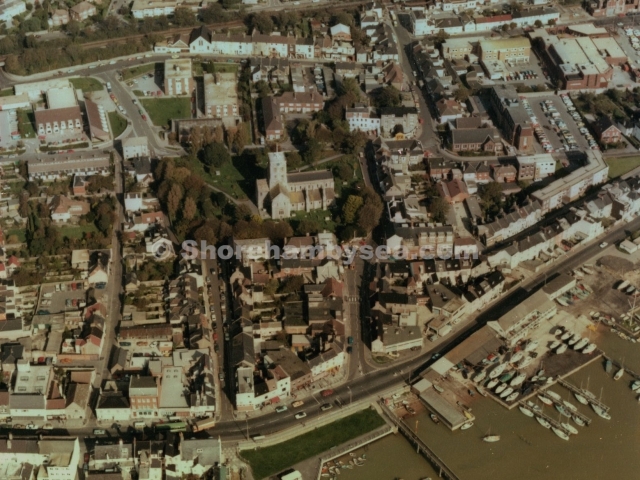 The collection of mostly 3”x 2” transparencies and prints were already numbered but not indexed. 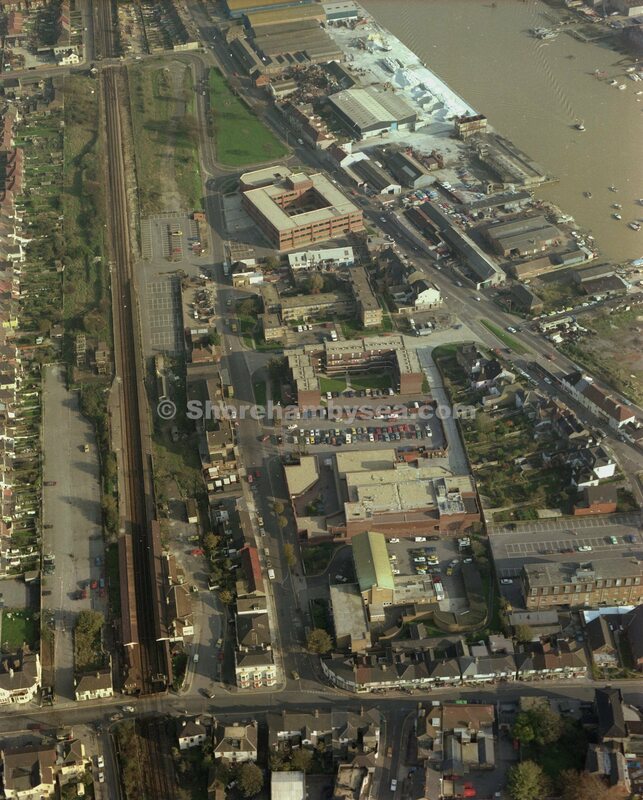 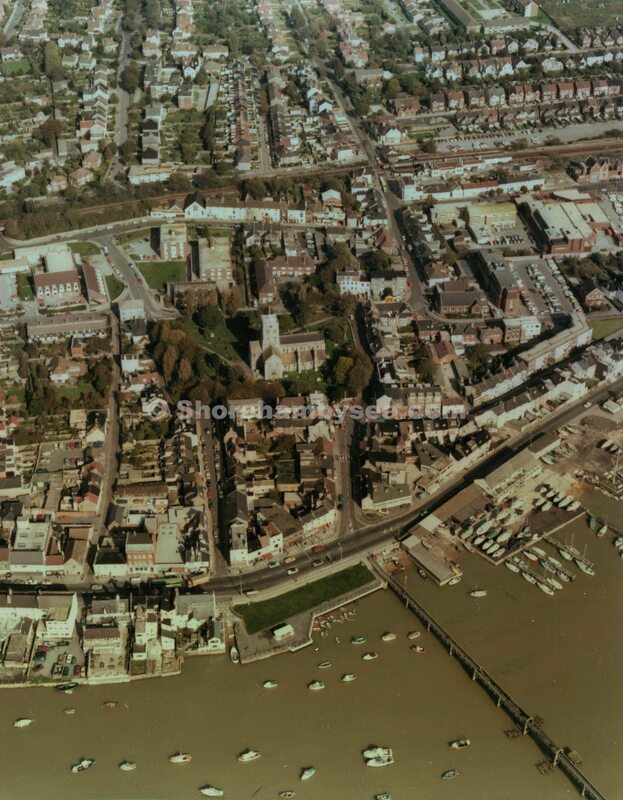 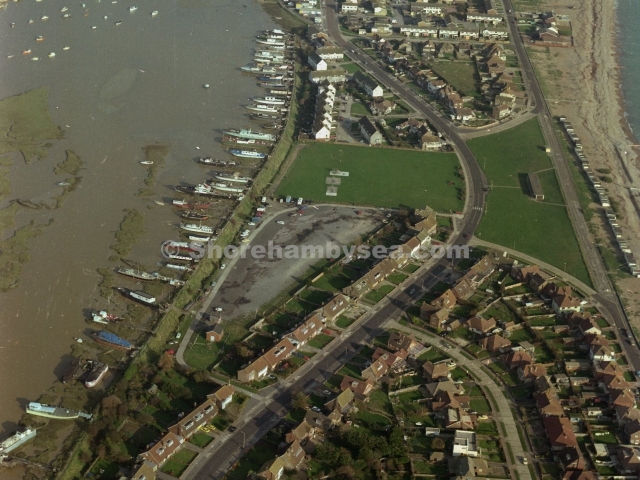 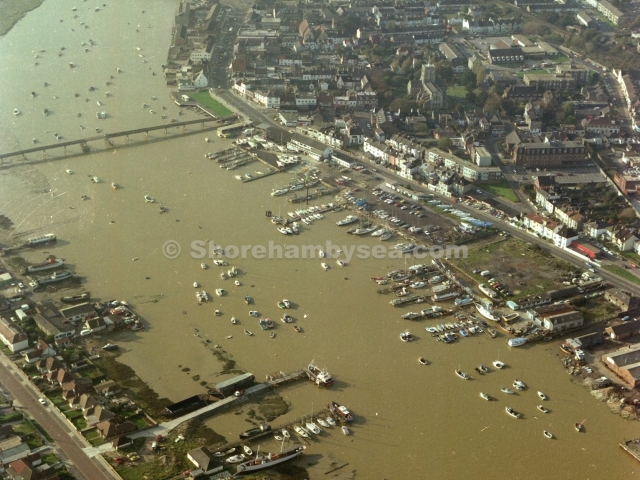 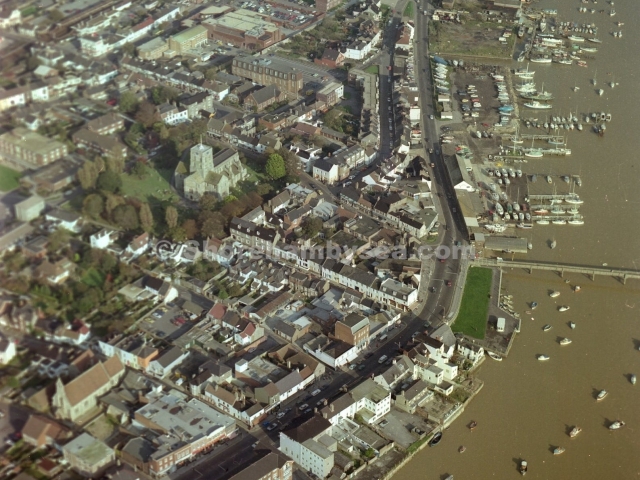 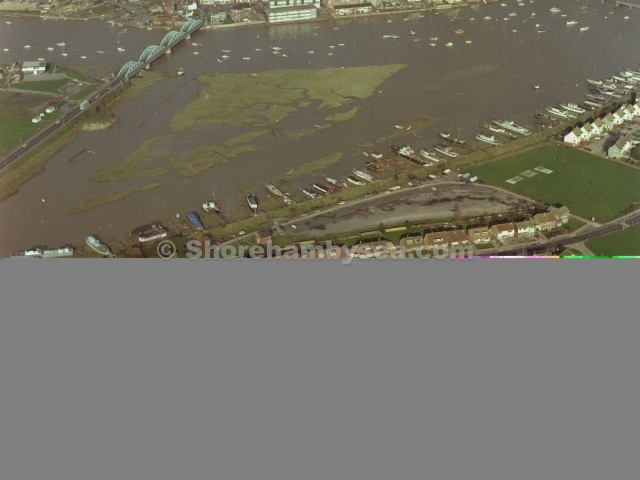 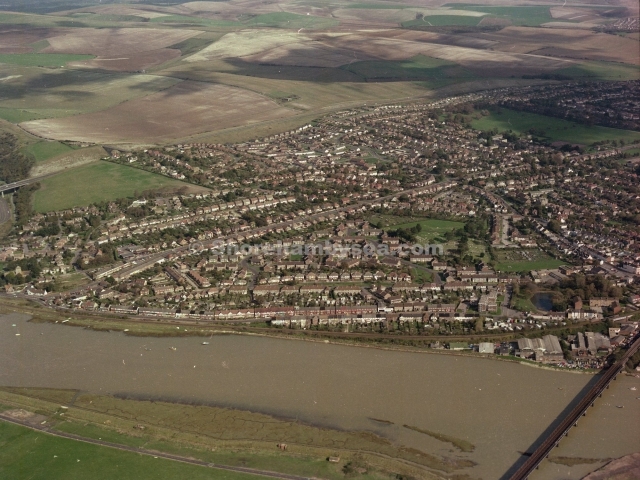 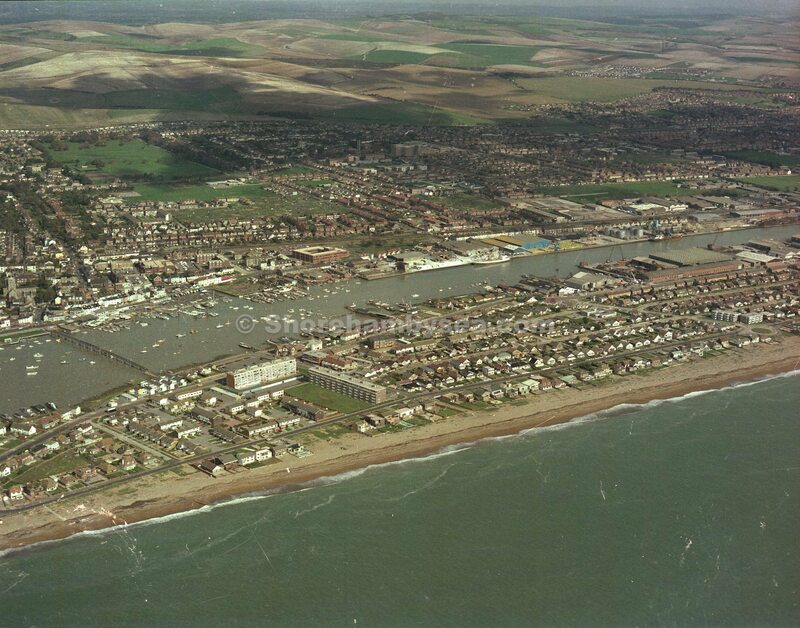 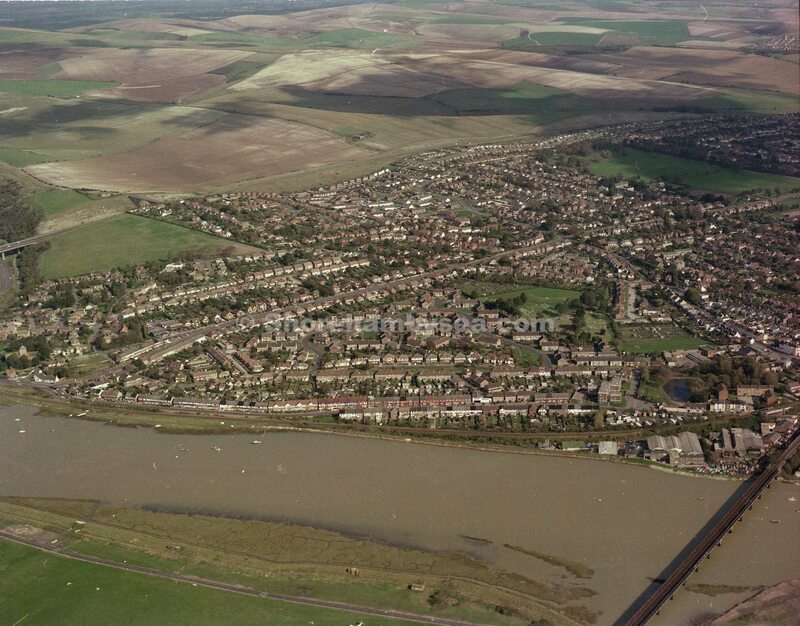 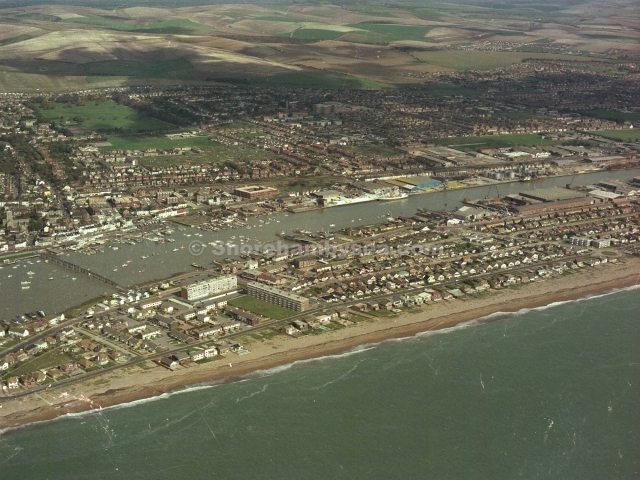 We have endeavoured to identify each Shoreham image and offer the following index but it should be mentioned that this might not be totally accurate bearing in mind the exercise was carried out without the benefit of a viewer/magnifier. 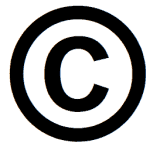 All are transparencies except where stated.